Wall lining systems are an extremely quick and cheap method of dry lining an existing wall. Unlike traditional Stud and Track that are used to create non load bearing walls and interiors, the wall liner system is traditionally used to dry line and plasterboard existing brick, block and concrete walls. A wall lining systems key benefits are the fact that it removes the need to prepare the existing wall and creates a void to allow for the easy installation of insulation and the necessary services. What are the components of a Wall Lining System? A wall lining system, like traditional partitioning systems, consists of a traditional Stud and Track system. Wall lining track (GL8) is fitted to the floor and ceilings, and vertical channels or Wall Liner Studs (GL1) are fitted between. Wall Liner Track comes in 3m lengths and can be butted together for longer runs, and Wall Liner Studs come in 2.4m, 2.7m, 3m and 3.6m lengths that can be easily cut to suit the desired height. Typically wall liner studs are 600mm apart, but can be placed at 450mm centres to offer greater rigidity. Fixings Brackets are fixed both to the existing wall and vertical wall liner studs to offer greater support. 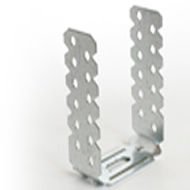 Dependent upon the size of the void required for the services and insulation, we offer both 75mm Leg fixing brackets (GL2) and 125mm Leg fixing brackets (GL9). 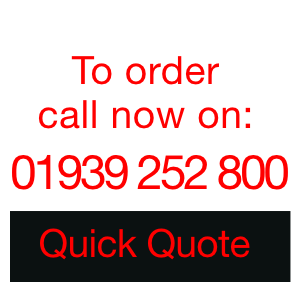 Bulk dry lining stock the full range of metal wall lining and dry lining systems available in the UK, at the cheapest price on the internet. Whatever your project, please do not hesitate to get in touch. Remember we have been dealing in interior building supplies for over 50 years, supplying many of the country’s main contractors and large house builders. Whatever your drylining requirement, we can beat any genuine like for like quote! Unlike most of our internet rivals, we carry massive stocks available for immediate despatch. PHONE NOW!